As the NFL again takes flak this week for its head injury awareness with potential injuries to the Seahawks’ Russell Wilson, the Colts’ Jacoby Brissett and the Falcons’ Devonta Freeman, it’s important to remember that concussion symptoms can be subtle and have a delayed onset. The concept that a brief assessment on the sideline is sufficient to say yeah or nay on the diagnosis fails to meet the criteria set in the most recent consensus statemen from the 5th international conference on concussion in sport, held in Berlin in late 2016. The bottom line for initial assessment is that all athletes, regardless on level of competition, should be removed from the field of play, if concussion is suspected. If the diagnosis is not in doubt, for example a player who is knocked out, briefly confused or has difficulty with balance, the player should not return to the game. If the diagnosis isn’t confirmed but suspicion exists, then the player needs to undergo sideline testing. But there is not one perfect test that can confirm or deny the diagnosis. Sideline screening can be done but it takes at least 10 minutes for most testing to be completed. While it can occur on the sideline, it is often better to find a quiet place to interview and examine the potentially injured player. And also from the same guidelines, an athlete with a sport related concussion should not be allowed to return to play on the day of injury. 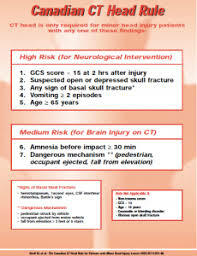 There is a caveat that symptoms may be delayed and repeated evaluations are warranted. The problem is that the symptoms can be very subtle, from difficulty concentrating, to sleep disturbances, to changes in personality. The ability for the brain to function and process information may be affected so that concussed high school and college athletes may drop a full grade point in their classes for the ensuing semester. As hard as it is to diagnose subtle head injury, it’s just as hard to decide when the brain has healed enough to allow the athlete to return to play. 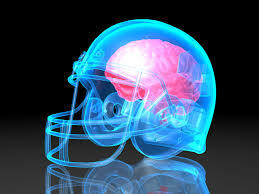 There is no test that confirms brain healing and most athletes recover within a month. Practically, return to play strategies take about a week if the athlete remains symptom free. That said, concussion symptoms may last for months. Unfortunately for those who decide whether a Seahawk or Colt or Falcon can return to play, instant replay allows fans at home and in the stadium to witness the consequences of a hit to the head and judge for themselves whether the possibility of a concussion might exist. And when a referee sends a player off because of concussion concern, it’s incumbent upon the team’s medical staff to follow through with a thorough assessment. The player may not know what happened or realize that they were concussed; it’s up to the coaching and medical staff to protect the brain, even if the player actively refuses that help. Until that is the standard of care, the NFL will continue to get flak.